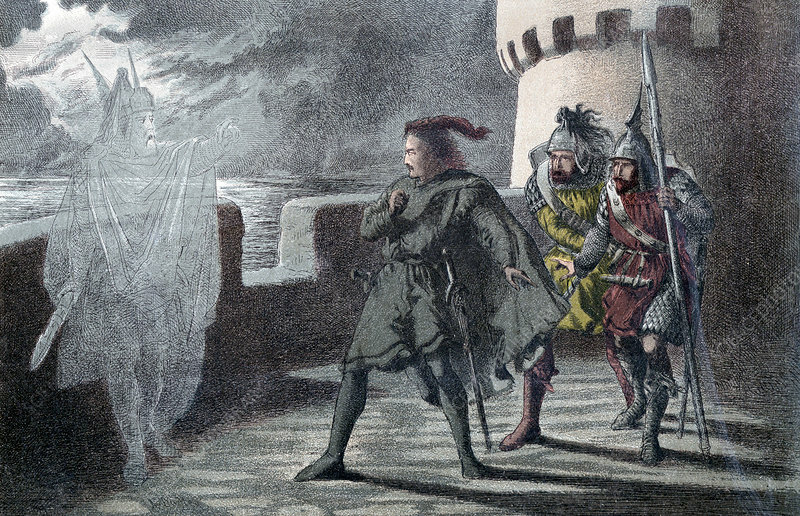 Hamlet seeing his father's ghost on the battlements of Elsinore Castle. From the Shakespeare play, 'Hamlet', Act l, Sc. IV. Chromolithograph illustration by Robert Dudley (fl.1858-93) published London 1856-58. Artist: Robert Dudley.